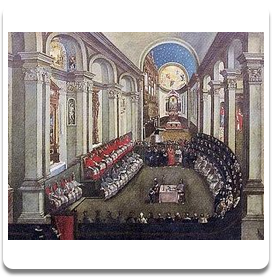 Father Paul Kramer - A magnificent talk on the true nature of Vatican II's liturgical reform. Using his vast knowledge of doctrine and Church history, Father Kramer demonstrates that through divine law the Mass could not be changed even if Quo Primum did not exist. He proposes that the New Mass was not abrogated. A different answer to the decades old questions about Vatican II and the New Mass.